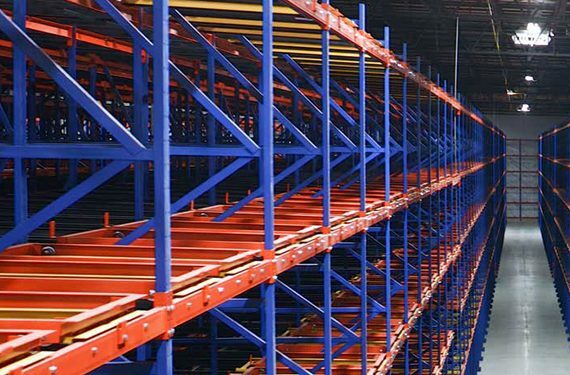 Committing to regularly inspecting storage rack at routine intervals is key to ensuring the safety and performance of a racking system within a facility. But how often should those inspections be performed, and by whom? The answer to those questions is highly situation dependent. 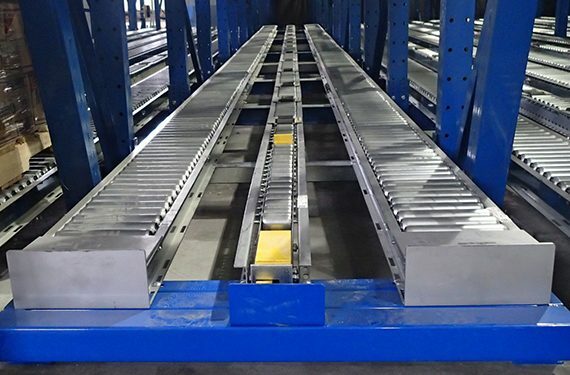 Recognizing that every storage rack application and operation is different, RMI’s publication Considerations for the Planning and Use of Industrial Steel Storage Racks recommends only that the system owner establish and implement a program of regularly scheduled inspections, offering guidelines to determine frequency. 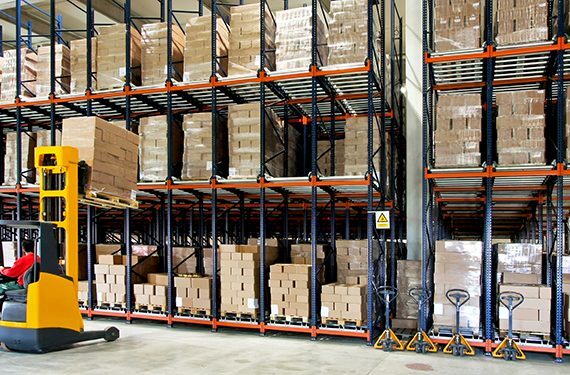 Additionally, the guidelines advise that a system should be inspected immediately after any event increases the likelihood of damage to the rack—such as a forklift collision or a seismic event. Product Value. The less expensive the product stored in an area, the more likely the rack is to be damaged. Aisle Clearances. 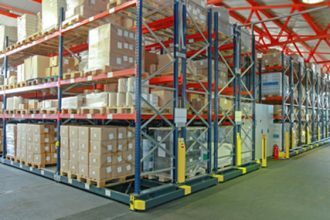 The narrower the aisles, the more likely material handling equipment is to impact the rack. Transfer Aisles. 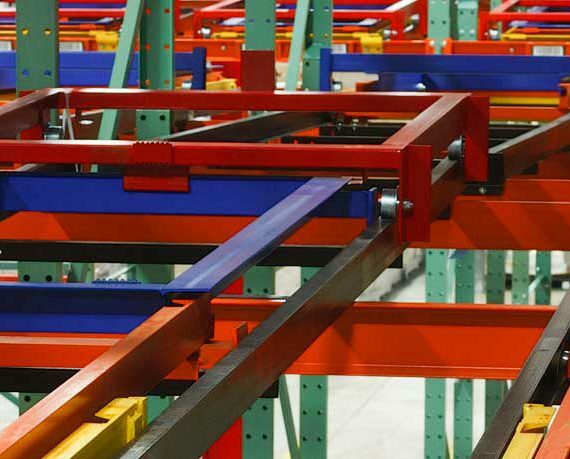 Rack rows with transfer aisles are more prone to damage. Previous Damage. Areas that have been damaged in the past are more likely to be damaged again. 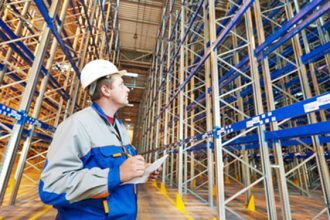 Internally performed inspections should be conducted by a qualified team member who is familiar with the storage rack’s design and installation requirements. The first step in the inspection is to ensure that the rack configuration and components match the original design documentation. Once that has been confirmed, damage assessments can be conducted. Additionally, it can be advantageous to engage an independent inspection professional. Team members who routinely work around a rack structure may overlook subtle signs of damage or unapproved changes to the configuration. Hiring an outside inspection service to perform an in-depth review and detailed measurements helps to ensure an unbiased evaluation. Regardless of who performs the rack safety inspection, the schedule and results should be documented and retained on file each time for future reference. Ready to commit to a new year of regular rack inspections? 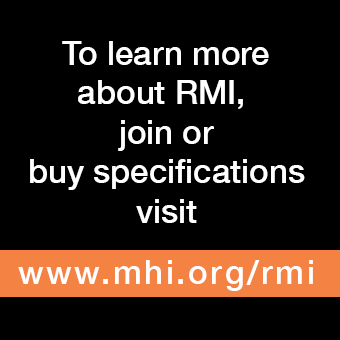 More information about the inspection process can be found in Section 6.2 of RMI’s publication Considerations for the Planning and Use of Industrial Steel Storage Racks.